Qualifications : Securities Service Network LLC. Priscilla Lee Roach is Blue Sky Licensed. 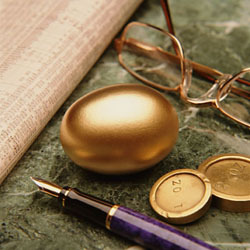 We possess more than 30 years of experience in financial management, working with individuals and corporate clients. Our firm exudes a friendly atmosphere with a personal touch. Our representatives maintain various professional designations, in finance, business, as well as an on staff MBA and a Chartered Retirement Planning Counselor. We have qualified representatives who are licensed to sell a variety of investment and life insurance products. We’re looking forward to using our expertise to help you develop and pursue your financial goals.